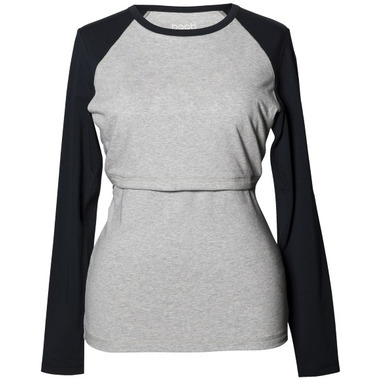 Classic raglan sleeve top designed to be worn during both pregnancy and nursing. Lined nursing panel with fleece to keep bust warm. The fleece is recycled and made from recycled PET bottles. The rest of the sweatshirt is made of soft organic cotton. Double Function for pregnancy and nursing. The overlap across the bust makes nursing easy, comfortable and discreet. It opens simply with one hand, leaving the other free to hold your baby.